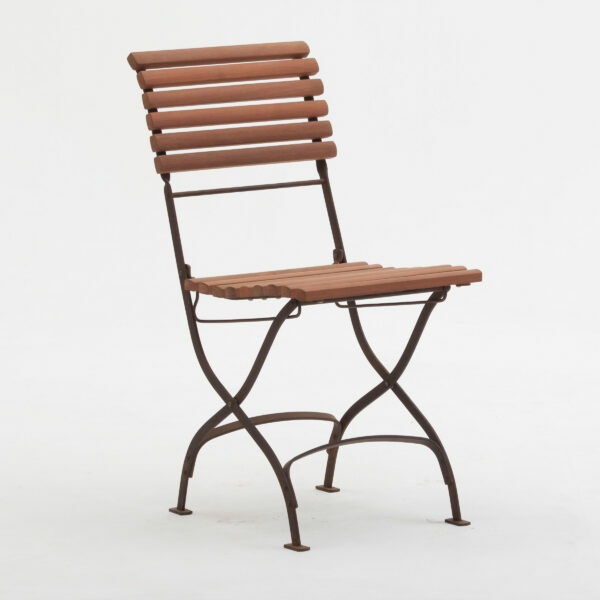 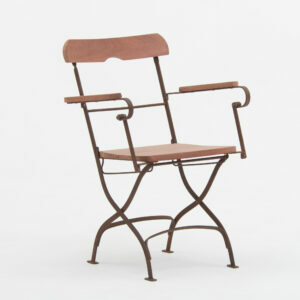 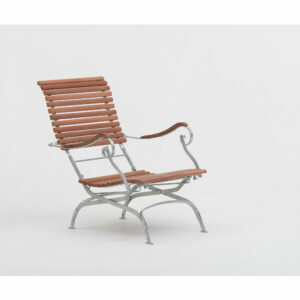 the park chair consists of a forged and riveted, folding metal frame. 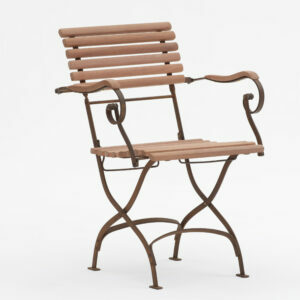 the uniformly machined wooden slats form a sculpted seat and backrest. 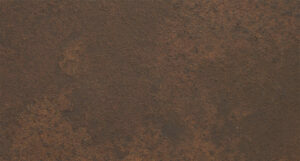 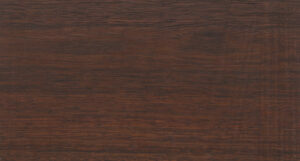 timber slats are secured to metal frame with sold brass or stainless steel screws.